This book has the boon all readers search for: the marriage of excellent writing and impressive story telling. This book has the typical coming of age story, starting with a tragic turn that sends the teen from the sunny California coast to the perpetually rainy and droll Alaska woods and into the middle of multiple murders with a mystical Native American twist. It also weaves in the typical teenage angst of trying to understand the new world of romance and the powerlessness of adults ordering your life. The mind of the narrator is very realistic, giving you an accurate peak into the adolescent thought process. The narrator's attempts to protect his father from the truth to avoid adults meddling in the complicated situation feel authentic and well-reasoned in the way adolescents have of validating their (sometimes questionable) decisions. The mysterious disappearances in the strange new world of the deep Alaskan forest is intriguing and keeps the reader constantly invested. The book is difficult to put down. The writing is advanced enough to keep an adult audience invested but simple enough that a young adult audience it is aimed toward would follow easily without talking down to them. Although there is a mystical element but it doesn't feel so radically outside the realm of reality that it is wildly unbelievable, especially in the frame of this work. The ending makes good sense and explains the arch of the story which isn't incredibly obvious and keeps the reader invested to the very end. There are a few minor grammatical missteps that are distracting. The writer could use some lessons on the when a question mark is required and when to use an apostrophe in names. But the writing is excellent and the grammar is generally good enough that these are forgivable mistakes. Overall a very enjoyable read that should be recommended especially to a young adult audience. "He hadn't taken more than a few steps when he was rudely reminded of these unavoidable conditions. As his feet slid out from beneath him he fell and the side of his body bore the brunt of the impact with the fallen tree." J. S. Green grew up in Salt Lake City, Utah with his nose in a book. 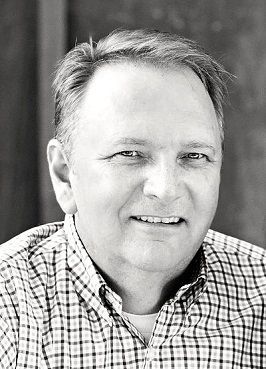 In the back of his childhood mind, he always imagined himself as a writer when he grew up – either that or playing baseball or beach volleyball, neither of which he had much talent for. Instead, he earned an MBA from the University of Utah and once kept a large collection of carnivorous plants. Several years ago, he finally decided to start writing. 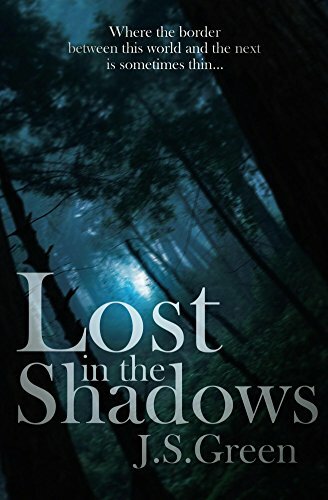 Lost in the Shadows is his first novel and reflects his love of ghost stories. He currently lives in Los Angeles, California where he likes nothing more than to spend time at the beach with his family and a good book. Connect with him on Facebook.